Win a ball signed by the Motherwell FC 2017/18 team! 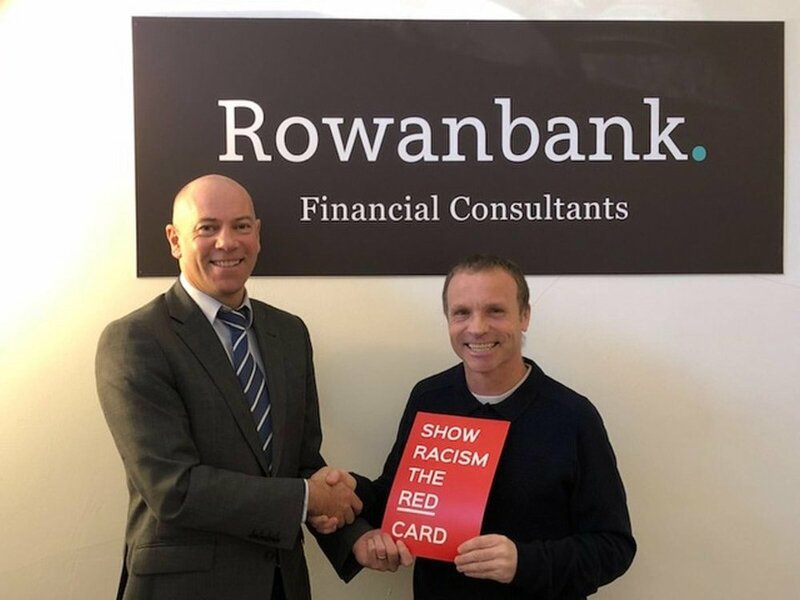 Show Racism the Red Card (SRtRC) is the UK’s leading anti-racism educational charity. The aim of the organisation is to combat racism through anti-racism education, whilst using football as an engagement tool and to positively campaign and promote the anti-racism message. The education team in Scotland also currently deliver ‘Tackling LGBT+ Bullying’ education. We are seeking to recruit a Full Time Education Worker based in our Scotland Office in Glasgow. The Education Worker will deliver and facilitate anti-racism workshops/training with young people and adults throughout Scotland. Working within the education team, the Education Worker will utilise existing SRtRC educational materials as well as support the ongoing creation and development of workshop activities, resources and lesson plans to align with the current funded projects of the campaign. The role is Glasgow based, but will involve Scotland-wide travel (travel expenses will be covered as per SRtRC’s expenses policy). Own car is essential. Interviews will take place in Glasgow 21st May 2018. If you have not heard from us within 6 weeks of the closing date please assume that you have been unsuccessful. Show Racism the Red Card Scotland delivered our Refugees, Stereotypes and Prejudice workshops at Rosshall Academy yesterday. MSP meets winners from this years Creative Competition. James Kelly MSP for Glasgow went to meet children at their school on Monday to congratulate them on their success in this years Creative Competition. SRtRC Scotland deliver our Refugee Inclusion Workshop to pupils from Newark Primary School. Show Racism the Red Card Scotland delivered our Refugees, Stereotypes and Prejudice workshops at Newark Primary School yesterday. Show Racism the Red Card Scotland delivered our Refugees, Stereotypes and Prejudice workshops at James Gillespie Primary School yesterday. Congratulations to SRtRC Patron Alex McLeish on becoming the new Scotland Manager. Once again racism in Scottish society has been highlighted through football. The Scottish team are thrilled to have delivered our Tackling LGBT+ Bullying Education Programme to young people from Street League in North Ayrshire yesterday thanks to Big Lottery Awards for All. The Scottish team are thrilled to have delivered our Tackling LGBT+ Bullying Education Programme to young people from Street League in East Ayrshire today thanks to Big Lottery Awards for All. We are deeply concerned by the news that the Football Lads Alliance (FLA) are set to march alongside Veterans Against Terrorism on Saturday 25 November in Edinburgh. The FLA’s founder John Meighan has been in Scotland on a recruitment drive to drum up support for his organisation amongst football fans from Scotland’s biggest clubs. His organisation was founded in the wake of the terror attack at London Bridge. Millions of people were horrified by the attacks at London Bridge, Westminster, Manchester Arena, Parsons Green and at Finsbury Park Mosque. The FLA claim they oppose extremism and terrorism and that they are not racist. But their track record contradicts their claim not to be racist. They have now organised two big mobilisations in London. On their first demo some of the key speakers were linked to far-right groups, including Toni Bugle spoke a former candidate for the English Democrats, a party full of ex-BNP members. On the second demo on 7 October in London the same speakers were billed to speak, but were then pulled for “PR reasons”. The ex-leader of the English Defence League (EDL) Tommy Robinson was a popular figure on the demo. The shadow home secretary Diane Abbott was attacked from the platform on 7 October – for signing a statement expressing concern at where the FLA is heading. The FLA’s Facebook page has constantly seen regular posts from known far-right figures, with posts openly calling for “civil war” to deal with Muslims. The racist and Islamophobic posts on the page were one reason why the veterans’ charity Walking with the Wounded pulled support for the FLA’s second demonstration. Since then Meighan has wished “good luck” to a far-right, Islamophobic demo at the East London Mosque and the FLA have promoted an Islamophobic demo outside the BBC in London. Within the ranks of the FLA are neo-Nazis who are trying to create a racist and Islamophobic street movement. On their second demo in London on October 7th, between 15 to 20,000 people took part from dozens of clubs across Britain. The whole Muslim community is the target for such demos, despite the fact that every major Muslim organisation condemned the attacks in London and Manchester. This is at a time when hate crimes against Muslims are rising at a dramatic rate. We know that the vast majority of football supporters oppose racism and that clubs have invested much time and effort in supporting anti-racist initiatives. But we are deeply worried that some on the extreme racist and fascist right are attempting to use the FLA to win an audience for their political agenda. We have to ask why an organisation that says it is not racist has failed to deal with the far right racists it is obviously attracting. The FLA leadership is opening the door to those who want to divide us all. We believe that, like the whole of society, football is for everyone, women and men, black and white, LGBT+ or straight, people of all religions or none. We urgently call on all of goodwill to join us on the Stand up to Racism 'Football for All - No to Racism, No to Islamophobia!' unity event on November 25th in Edinburgh to take a positive anti-racist message onto the streets and protest against Islamophobia and racism. We would like football supporters, trade unionists, political parties and their representatives, religious groups, campaign groups and anti-racists to turn-out in numbers to show that Edinburgh is a welcoming place for all, whether that is on the terraces or streets. To help build for this Stand up to Racism is calling a Day of Action to leaflet football clubs across Scotland on Saturday 18th November, from Aberdeen, to Dundee, to Glasgow and Edinburgh. If you cannot attend the counter-demo in Edinburgh, please join us for the St. Andrews day march rally on the 25th of November in Glasgow.